Dimensions 0.30 by 6.60 by 10.25 in. 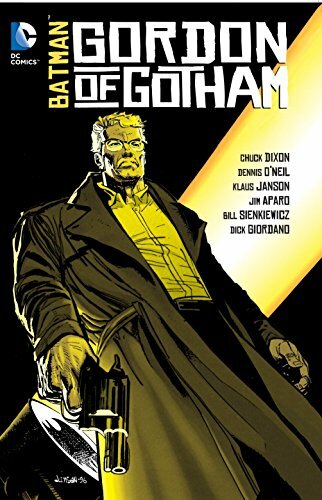 Amazon.com description: Product Description: Gotham City Police Commissioner Jim Gordon stars in this new collection of crime stories from the 1990s that stars the colorful, determined cops of Batman's home town. Collects BATMAN: GORDON OF GOTHAM #1-4, BATMAN: GCPD #1-4 and BATMAN: GORDON'S LAW #1-4. About: Gotham City Police Commissioner Jim Gordon stars in this new collection of crime stories from the 1990s that stars the colorful, determined cops of Batman's home town.